An ISO accredited test for the extraction and identification of potato cyst nematodes (PCN) to genus, 1kg of soil. PCN are the most important potato pest in the UK with the potential to cause significant yield losses. Testing land before planting will help with varietal choice and allow informed decision on sustainable rotations to be made. Fera plant health experts have been accredited by the United Kingdom Accreditation Service to BS/EN/ISO/IEC 17025:1999 General Requirements for the Competence of Testing and Calibration Laboratories for tests detailed in the schedule of accreditation number 1642, which include a range of nematode analysis activities, including this test for potato cyst nematodes. 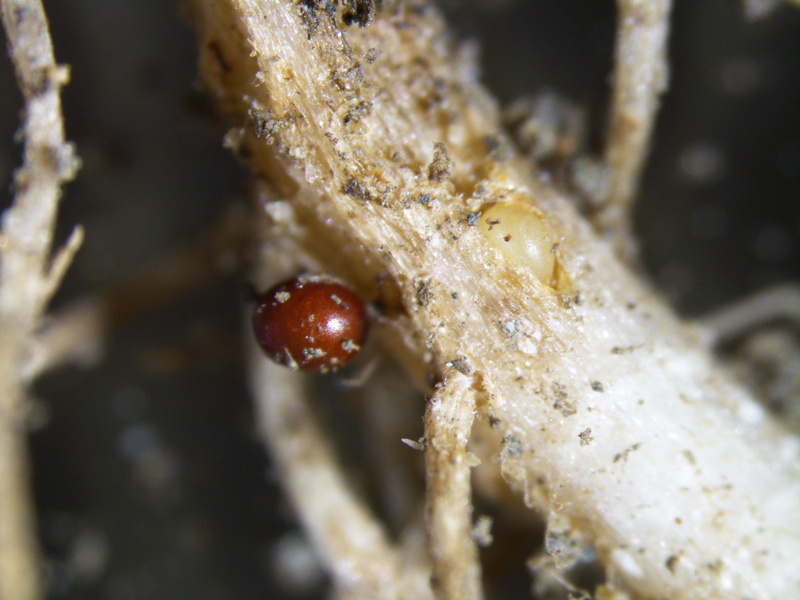 A cyst count, a viability assessment of Potato Cyst Nematode (PCN) detected from soil. We understand you may have a large number of samples to safeguard your crops so we offer discounts for multiple samples. We also provide cyst species identification and eggs per gram. Please indicate if you are interested in these services on your samples submission form and we will contact you if the relevant life stage has been recovered.